Speaker of the National Assembly Advocate Jacob Mudenda has challenged the Parliamentary Portfolio Committee on Primary and Secondary Education to push for practices that guarantee free basic education as espoused in the constitution. 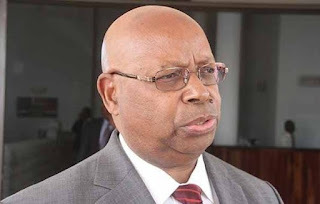 Advocate Mudenda challenged the committee to come up with solutions that can make the executive implement free basic education for all, a right he said is enshrined in the national constitution. He also exhorted the parliamentarians to ensure government fulfils the 2000 Dakar Framework on Education which benchmarked the national budget education vote at 20 percent. Advocate Mudenda was addressing the Primary and Secondary Education Parliamentary Portfolio Committee in Kadoma where he also tasked the team to devise ways to speed up development of infrastructure that facilitates e-learning. The chairperson of the committee in question Honourable Priscilla Misihairabwi-Mushonga revealed that the sector is still lowly funded with 92 percent of its national budgetary vote going towards salaries. Government allocated US$1.1 billion towards the Primary and Secondary Education sector, a figure that represents 15 percent of the 2019 national budget.